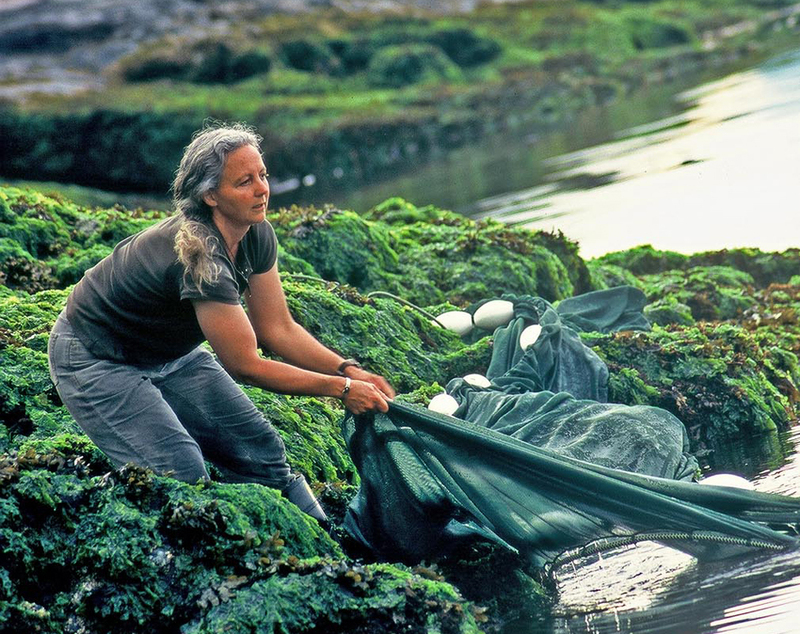 A Canadian citizen since 1997, Alex has spent nearly 30 years in coastal B.C., raising her children, studying killer whales and doing her utmost to protect the area from salmon farming. 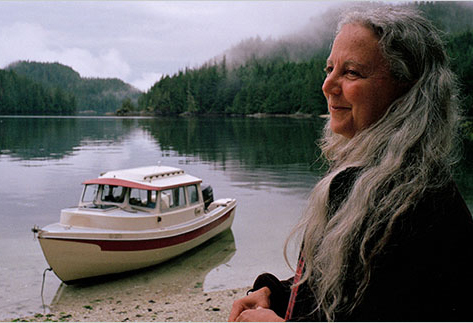 She has devoted herself to the region’s ecosystem, and was fittingly dubbed “the Jane Goodall of Canada’s west coast” by Kickass Canadian Jay Peachy, who recommended her to me. After receiving Jay’s glowing referral, I arranged to speak with Alex. She was hesitant at first to take time from her research, but it was only a matter of minutes before she opened up about the mystical animals who brought her where she is today: home. On the water near Echo Bay, B.C. While studying biology at American University, she came across Dr. John Lilly, who was trying to teach dolphins to speak English. Alex spent two years assisting John and learning the ropes of working with cetaceans and audio equipment. After graduating from American University in 1978, she moved to Los Angeles with the thought preparing for a PhD at the University of California, Los Angeles (UCLA). But her work at the local oceanarium Marineland of the Pacific took her off course and eventually led her to Canada (where she was ultimately awarded an honourary PhD in 2010 from Simon Fraser University for her research on sea lice). During her time at Marineland, a remarkable event took place: the first birth of a killer whale conceived in captivity. At the staff’s request, Alex moved her sound equipment into the whale tank and “immediately fell in love with the sounds and the animals themselves.” After having struggled through the dolphins’ high speed, high frequency chatter, the slow, deep sound of the whales, who communicated in her hearing range, was music to her ears. She promptly changed her course of study to killer whales. She could also tell that studying them in captivity wasn’t something she could bear. The killer whale calf had died within weeks because its mother, captured at five years of age, never learned know how to feed her offspring. When a second calf was born, it met with the same fate. But this time, Alex had a firsthand account of the entire ordeal. She was devastated to watch “in horror” as the whales she’d grown to know and love went through the heartbreaking experience. In 1979, Alex decided to look for ways to apply her knowledge to a study in the wild. She knew that every family of whales spoke a unique dialect. Having grown accustomed to the language of the whales at Marineland, Alex dreamed of finding their family and studying them in their natural habitat. It turned out to be easier than she imagined. As luck would have it, Fisheries and Oceans Canada (DFO) was conducting whale research on B.C.’s west coast at the time. Alex reached out to Dr. Michael Bigg, a DFO researcher who had been tasked with counting the number of whales in the area. In photographing the animals, he’d noticed distinctions on each of the whales that allowed him to count them individually, enabling him to identify the mothers of the captive killer whales from their capture photos. Happy to help Alex in her quest, he sent her the images and recommended that she visit Alert Bay, B.C. in August. She quickly made plans to spend a year in Canada. In 1980, she returned to Alert Bay, where she found the whales and something else that made its way into her heart just as quickly: her future husband Robin Morton. Robin, “a very cute Canadian filmmaker,” was filming the whales and needed a scientist to interview. They soon began collaborating on and off water, and “I was married, pregnant and living on a boat within a year,” says Alex. Once it was clear that Alex’s stay in Canada was permanent, she and Robin began searching for a place from which to conduct a long-term study on whales. They travelled the coast, documenting the cetaceans and earning money through charters, all the while seeking out a new home. “We needed a place where whales were in protected waters so we could work all winter, we needed a school of some sort for our son, who was just an infant, and we wanted some form of communication with the outside world,” says Alex. In October 1984, a pod of whales led the Mortons home. They followed the animals into a cluster of islands called the Broughton Archipelago in Echo Bay, and discovered that it offered everything they needed: wilderness, protected waters, a one-room school, a post office and whales. The family of three fit right in with their boat; almost everyone in the tiny community lived on floating homes. The Mortons enjoyed a few short years together before their fortune took a sad turn. In the summer of 1986, Robin drowned filming whales. Then, in 1987, the first salmon farm showed up in Echo Bay. It was the older fishermen in the area who were the first to wave warning flags. “They were saying to me, ‘They’re putting them all in the wrong places… They’re putting them exactly where the salmon like to hold,’” says Alex. As the only person in Echo Bay with a word processor, she agreed to write a letter to DFO on the fishermen’s behalf. Over the next 10 years, as the concerns and evident problems associated with the salmon farms grew, she went on to send 10,000 pages of letters. “I was convinced for a long time that if I just lined up my words in the right order, (the government) would understand that there was a problem here on a lot of levels, but that it was solvable,” says Alex. The problems ranged from displaced whales—who listened once to the loud sounds played to keep seals away from the farms and never returned—to toxic algae blooms and rampant disease. In response to her letters, the government repeatedly stated that there was “no evidence” of the problems she reported. So when sea lice became an issue in 2001, Alex didn’t bother appealing to DFO. Instead, she took it upon herself to do the research and provide the evidence. With the help of experts in Norway and Scotland, she studied up on the life stages of the lice and quickly became quite an expert herself; her work on the impact of farm lice on wild salmon has been published worldwide. Catching juvenile salmon to count lice, before releasing the fish, near Echo Bay, B.C. 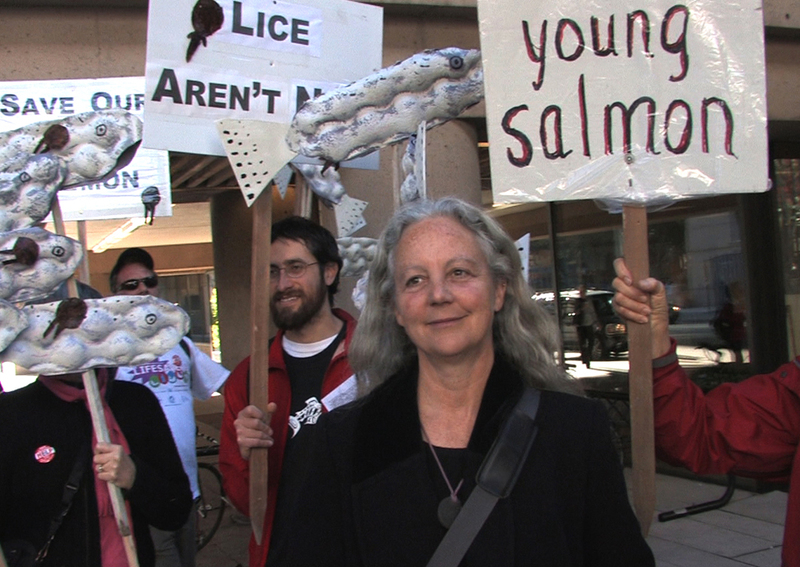 With solid research behind her, as well as several environmental organizations, Alex was able to mandate the salmon farmers to change their practices to reduce the lice population. This protected “perhaps a billion young wild salmon” from being eaten by lice. 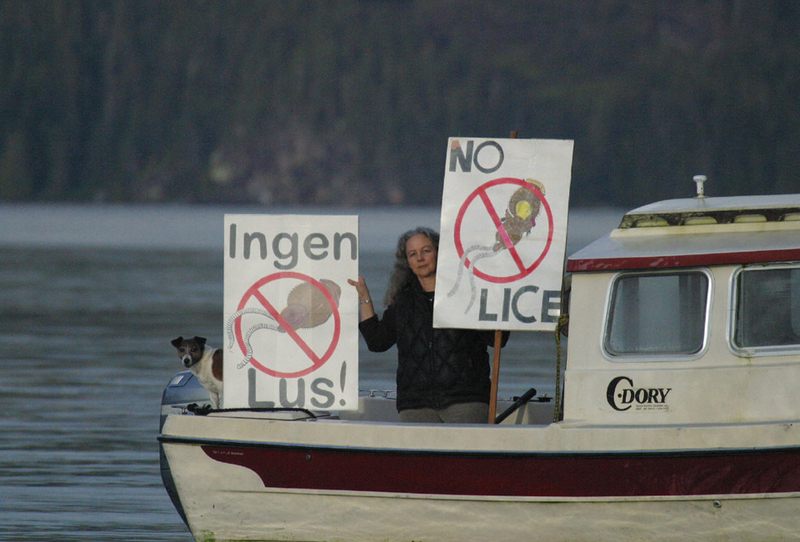 But she wasn’t able to move the farms away from the wild salmon migration routes, because the farmers argued that by using “quite a toxic drug” on farmed salmon, it would protect wild fish from the lice. She explains that adult wild Pacific salmon die in the river after they spawn. The common rationale among scientists is that this behaviour breaks the cycle of disease; when the parents die, so do most of the diseases they carry, leaving the youngsters free to swim to sea with the majority of pathogens gone. But the farms hold salmon on the migration route, so when the adults come home, they spread lice, viruses and bacteria to farm salmon, which breed these pathogens all winter and then infect the new crop of salmon in the spring at extremely high levels. After feeling helpless for too long, Alex describes “a really wonderful coming together” of herself and a number of environmental organizations in 2001, including the David Suzuki Foundation and Living Oceans Society. Together, they formed the Coastal Alliance for Aquaculture Reform (CAAR), with a mission to “protect wild salmon, coastal ecosystems, coastal communities and human health from destructive fish farming practices.” But although there were talks with government and industry, Alex came away with the strong impression that they were dealing with “master corporate negotiators,” and that she was still going to have to do a lot of her own legwork to make any headway in reforming salmon farming practices. In 2005, when the fish farm companies and environmental organizations wanted to triple the size of the feedlots in the area—effectively tripling the sea lice count—Alex went to attorney Greg McDade for an injunction. But upon reviewing the case, Greg saw that “the whole thing was not lawful” because the fish farms were in the ocean, which falls under federal jurisdiction. Alex and Greg petitioned the B.C. Supreme Court, and the result was a ruling that the provincial government of B.C. could no longer regulate salmon farming and was thereby denied the right to grant expansion of the farm sites. In 2010, Alex moved beyond science and research, and began rallying the people of B.C. and Canada to get behind salmon farm reform. “I’m quite convinced to this day that if enough people stand up and say, ‘We don’t want this in our waters,’ it wouldn’t happen,” she says. She didn’t know what the critical mass was, but she was willing to find out. Working with a number of local volunteers, as well as the full cooperation of the Royal Canadian Mounted Police (RCMP), Alex organized a 500km walk from Echo Bay to Victoria to give the public an opportunity to stand up for wild salmon and ask that salmon farming “Get Out” of the ocean. The Get Out Migration started with about 10 people on April 22, 2010, Earth Day; by the time they reached the B.C. Legislature on May 9, Mother’s Day, their numbers had grown to nearly 7,000. Public reception to the walk was overwhelmingly positive. The group was met with drumming ceremonies and flying doves as they made their way through the First Nations communities. But the media was less responsive. Despite the parliamentary security team confirming their number count at close to 7,000, papers reported that there were “almost 1,000 people” in attendance; in the end, “nothing happened,” says Alex. Still, it wasn’t for naught. Alex gained the experience of organizing a major protest and the knowledge that there was support from area residents, particularly people in First Nations communities. So she forged on. In October 2010, Alex and friends organized a seven-day paddle down the lower Fraser River with 100 people in 10 Voyageur canoes. This time, rather than simply stating that they wanted fish farms out of the region, they “put a very fine point on it.” The Cohen Inquiry was getting underway to investigate the decline of sockeye salmon in the Fraser River; Alex and the canoeists planned to arrive in Vancouver on the Inquiry’s opening day to request that all fish farmers be required to submit their disease records. When they arrived at the courthouse on a very rainy October 25, Alex and two chiefs entered the building carrying a soaking elk hide full of signatures in support of “releasing the salmon farm disease records to find out if farm diseases were killing the Fraser sockeye.” They stood at the front of the courtroom for 15 minutes, shivering and dripping, until Justice Cohen finally acknowledged them. The three simply nodded silently and left, but they got their message across. Justice Cohen agreed to their request. In the end, close to one million documents were submitted to the Inquiry on a range of issues. As a participant in the process, Alex has full access to the files and has been diligently reading through them as quickly as she can. Her current goal is to prepare a report for the aquaculture portion of the Cohen Inquiry, which is fast approaching in August 2011. “My hope is that we can change DFO and make it so that the department responds to the biology of the situation, rather than the policy,” she says. It’s a slim hope, she admits, but having the odds stacked against her isn’t something that’s ever stopped her from doing all she can for something she believes in. As Alex moves forward, she’s putting everything on the line to protect the salmon and ecosystem of Echo Bay. All her work is volunteer-based, and she’s supported by contributions from friends. Legal and research costs have been funded through the “thousands of small donations” she’s received at salmonaresacred.org and raincoastresearch.org. She doesn’t see living without a salary as a sustainable solution. But she also doesn’t see that she has a choice. For more on Alex, ‘Like’ her Facebook page, follow @alex4salmon on Twitter, visit alexandramorton.ca or salmonaresacred.org, check out her blog or email gorbuscha@gmail.com. 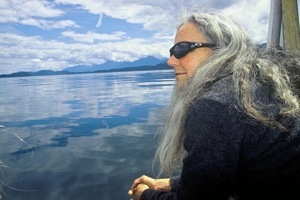 You can further explore her work by reading her book, Listening to Whales. To follow the Cohen Inquiry, visit cohencommission.ca; the judge’s report is scheduled for release in June 2012. Alexandra deserves the highest award that Canada can grant. Alexandra deserves the adoration and cash that people instead heap upon TV and sport celebrities. I challenge anyone who sees this to match their sporting event spending with a donation to salmonaresacred.org. Honoured to know and be inspired by this individual. Imagine if everyone in this country fought bravely for what they believe in. It is an over-used term, but this is one person who unquestionably earns the term “Living Treasure.” Anyone who has confronted the industrial salmon-farming industry and its co-plotters in the destruction of habitats – governments, WWF, the rest – will appreciate Alexandra Morton’s courage. She has built alliances and has practised what she preaches, and has never resorted to the “dirty tricks” commonly applied by the industry and its unholy alliances. 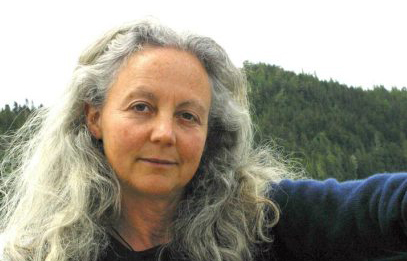 She has an unimpeachable truth – salmon farming damages habitats and migratory routes for wild salmon, with consequences for the entire eco-system, from Orcas to brown bears and eagles. Alexandra is a true eco-warrior. Glad to see Alex getting such positive feedback and recognition. It was clear from my exchanges with her that she’s a very special, unusual person with an unbreakable spirit and strength. 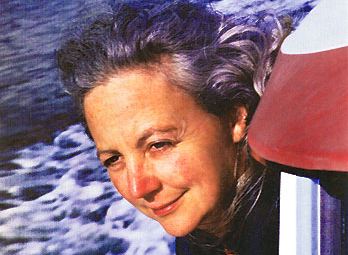 Alexandra Morton is a remarkable woman who cares deeply for the health of our marine life. Bless her work and reward her persistance and integrity. Thank you, Cath, for the beautiful comment! Morton is to salmon what Fossey, Goodall and Galdikus are to gorillas, chimpanzees and orangutans. Don’t tell her that, though; she’d rather have practical help with the fight for wild salmon. Thank you, Shane! Glad to see such support for Alex. I admire Alexandra’s passion. I am also ashamed of how pathetically numb society has become. Needless to say that the attitude of the ‘authority’ in this matter is questionable -at least- if not suspicious in the grand scheme of things. This topic has the potential of a time bomb when considering that fish farming in B.C. is foreign-owned and, more importantly, a huge health concern. 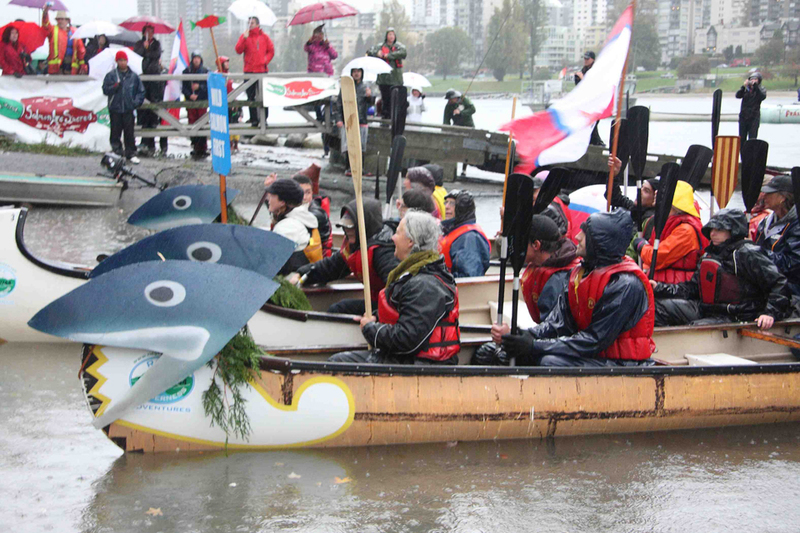 People of B.C., open your eyes… It’s not just happening to salmon in this province! Canadians have to stop saying “What difference can I make?” Plenty of difference, not just with money but email politicians and you don’t have to be nice to them. Too many of them want to be re-elected. That’s their bottom line. What’s right is far from their concern. Dear Alexandra, I have not had the pleasure of meeting you but would like to ask for some direction in my teaching. I teach high school Canadian Geography and I am eager to find out what to tell my students about the current conditions of the salmon resources on our West Coast. I have read Ed Beatty’s appeal to the Auditor General and I have shown the students the film Salmon Confidential. I am an avid outdoor enthusiast, have travelled often and have a passion for Canada, its resources and the balance of our economy and worldwide reputation. Could you direct us to the source of current information (regulatory requirements, etc.) about the salmon fish farming industry, disease and detection, worldwide research and the future of a safe and renewable salmon industry for Canadians? Michael, thanks for your query. I’ve approved your comment so Alex can see it here, but you might want to try emailing her directly – her address is listed above, at the end of her article. Best of luck! I met Alex about 25 years ago, when she and I were involved in a project called “Underwater Safari.” I was immediately inspired by her passionate dedication to the study and preservation of our marine ecosystem. Since then I’ve watched in awe as she has often single-handedly taken on Department of Fisheries and their apparent sponsors, the Norwegian fish farming industry. I can’t imagine what keeps her moving forward under such opposition for so many years but I know all Canadians owe her a tremendous debt of gratitude for her many years of perseverance. I hope one day our country will formally recognize the magnitude of her contributions. John, thank you for sharing, and for the kind words about Alex! I admire you. Wow! What a woman with passion. Hi Alexandra. I have read your books and been most impressed with your wonderful work with orcas. (My animal of choice is the giraffe.) I am now working with a filmmaker who has funding to do five TV hours on the behaviour of old animals, a subject I wrote a book on a few years ago. We wondered if you would be willing to work with the filmmaker to do footage on older orcas. Indeed he thought that there might be a whole program devoted to orcas and tied in with the awful salmon fishing industry. I teach in Independent Studies at the University of Waterloo, and I believe you have a friend, whose name I cannot recall, who studied there. Anyway, it would be wonderful if we could put orcas to the forefront of people’s mind to help them. Do let me know what you think. Anne (and others with specific questions for Alex), I suggest you email her at the address listed at the end of her article. Thanks for your comment – I hope you hear back from Alex.